Caregiving is handed down through our heritage and woven through our genetics and instincts. We take care of others through different stages of life, a meaningful expression of love for family and friends, young and old. I sought out that role as a mom of three little ones. However, I never expected to be a full-time caregiver for one of my teenaged children. “Life can change in a moment” is a common phrase, yet only some of us experience tragic events that alter everything. My moment arrived in the last dark minutes of a chilly spring day when I fell asleep at the wheel and nearly lost my youngest daughter, Beth. 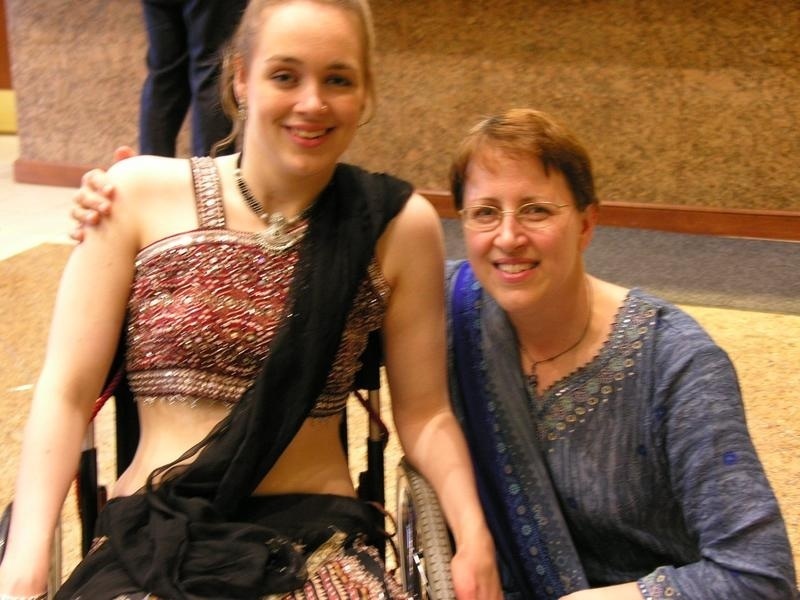 She survived with a C6-7 spinal cord injury. I quit my job at a state institution for a new one as a full-time personal care assistant. Beth took on the world with stubborn teenage determination. She led the way in her new wheelchair while I struggled to keep up, saddled with guilt, anxiety and depression. At the time, I needed a caregiver, too. Who takes care of the caregiver? You guessed it. On top of caregiving—always a challenge—caregivers need to fend for themselves. But how? The responsibility of the job is often demanding, time-intensive, exhausting, and uncertain. Beth’s first days back at home after her injury, I couldn’t sleep at night, afraid of losing her. Every morning, I worried if the day would end in the hospital. Bone-tired and deeply sad, I joined the ranks of caregivers who neglect themselves, particularly through the toughest times. I learned the hard way that self-care for caregivers is a necessity, not an option. I hope your journey will be better with the following strategies. Give yourself the best gift: self-care! Cindy Kolbe is a Peer Mentor for the Reeve Foundation. She shares her adventures with Beth on her Struggling with Serendipity blog at strugglingwithserendipity.com/blog and on her new Struggling with Serendipity Facebook Page at facebook.com/strugglingwithserendipity.